Ever wonder if the human race will get wiped out like the dinosaurs? Perhaps there’s a way we can prevent it. The B612 Foundation is focused on building, launching and operating a space telescope with the intent of monitoring threatening asteroids. Below we will take a look at the story behind the foundation, the mission of the foundation, the B612 foundation goals and how you can get involved. What is the B612 Foundation? The B612 Foundation is a foundation dedicated to monitoring and at some point in the future deflecting near Earth asteroids. The purpose of the foundation is to protect the Earth and human civilization from the possibility of an asteroid impact like that which wiped out the dinosaurs. The B612 Foundation was established in 2002 after a group of scientists came up with the concept of asteroid monitoring in October of 2001. It was at the NASA Johnson Space Center in Houston, Texas when the environmental project that would become the B612 Foundation was conceptualized. The scientists from a number of different fields came together to discuss near Earth asteroids, their concern over them and just how much of an impact it would take on the planet for human civilization to be destroyed. Through conversation between the multi-disciplined group of researchers the group soon realized that we have the technology as well as the ability to carry out a demonstration asteroid deflection mission. The group set about minimally changing the orbit of a near Earth asteroid as a trial project to show just what could be done. This was the beginning of the formal organization of the B612 Foundation. What Has the B612 Foundation Accomplished? Over the past ten years the volunteer based organization has focused the majority of their efforts on researching and advocating asteroid deflection. As a group they have managed to come up with a number of concepts for asteroid deflection which are held as “standard” impact prevention techniques today. The foundation has focused on creating an understanding of the fact that deflecting an asteroid can be accomplished with a very minimal change in the asteroid’s velocity. This very minimal change, we’re talking just fractions of a centimeter per second, could prevent impact; however, the foundation also knows that this change must take place decades before the asteroid is set to impact Earth. This knowledge seems somewhat useless with a need for such an extreme lead time but the Foundation took heed of this which is why they are focused on searching and tracking these near Earth asteroids. Without advanced warning of an asteroid’s approach the deflection techniques researched by the foundation would be inconsequential. With this knowledge the foundation began to change their focus in 2011. Knowing that it was possible to deflect a near Earth asteroid it was now important to focus efforts on creating enough warning time before impact to be able to implement deflection techniques. The B612 Foundation scaled up their operations and partnering with Ball Aerospace they intend to build, launch and operate an infrared space telescope. This telescope is intended to both find and track asteroids which threaten Earth, asteroids which are currently untraceable with current telescopes. The Sentinel mission is aimed at creating the first comprehensive dynamic map of the inner solar system. This mission will not only show the positions of hundreds of thousands of near Earth asteroids as they orbit the sun, but it will also show their orbital tracks. This map will help serve as a forecast means for future potential asteroid impacts as well as aid in future exploration of our inner solar system. The B612 Foundation has latched on to an important concept – hunting asteroids. There are some who would say that hunting asteroids is a waste of money because “what will be, will be” that if we are destined to be wiped out as the dinosaurs were, then so be it. The truth is though, that if we are able to hunt these asteroids and deflect them from Earth we can protect our civilization as well as promote education of our inner solar system. Certainly it is possible that the planet is “destined” to be wiped out by an asteroid, but couldn’t it also be said that as an intelligent race we were destined to do something to save our planet and our civilization? We have knowledge and means and these should be implemented to grow our understanding of the universe around us. 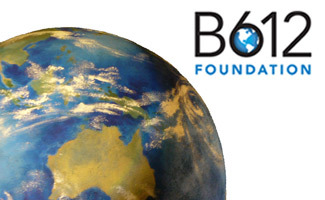 How is the B612 Foundation funding its Mission? A mission as significant as the Sentinel mission of the B612 Foundation is an expensive endeavor. Currently the interplanetary mission is being privately funded and the group is requesting donations to help make the mission a reality. Currently, anyone can make a contribution to the project through the B612 Foundation website. Donations can be made in any amount; however, the group is also offering donation packages that come with additional perks. The Galileo Club – Private donors who donate a flat donation of $10 will receive their name onboard the Sentinel Space Telescope. The Copernicus Club – Private donors who donate a flat donation of $100 will get invitations to select space-themed events and the benefits of the Galileo Club. The Halley Club – Private donors who donate a flat donation of $500 will receive invitations to quarterly webinars on mission progress and the benefits of the Copernicus Club. The Kepler Club – Private donors who donate a flat donation of $1,000 will receive a personal welcome from Ed Lu, Sentinel Mission mission patch and the benefits of the Halley club. Other Ways to Give – The B612 Foundation also gives a number of other donation methods for those looking to help to fund their mission. These options include: purchasing from the B612 store, donating via check or wire, monthly donations or appreciated asset donation. How Much Does the B612 Foundation Need? Since the B612 hopes to be an ongoing project their fundraising goal has no cap; however, in order to fund the Sentinel Mission the foundation is hoping to raise a total of $450 million over 12 years. This total amount which comes to around $37 million per year will be used to design, build, test, insure and launch the Sentinel Space Telescope, to analyze any observations and to deliver data to the world. The Sentinel Space Telescope is an important part of the B612 project because it will allow for a dynamic map of an inner solar system that is constantly in motion. The telescope will not only provide a visual of objects as they are mapped in the solar system currently, but it will also provide the ability to see where these near Earth asteroids are headed. Viewing these objects in motion through the Sentinel Space Telescope will provide researchers with a much more accurate measurement of the locations and velocities of them. Researchers believe that using the telescope will allow them to predict the location of asteroids for approximately a century allowing for plenty of advanced warning for potential impact. The scientists of the B612 foundation believe that in order to meet its maximum potential, the Sentinel Space Telescope should be placed between the sun and the Earth. The precise location should be one where the telescope is able to scan the Earth’s orbit while looking away from the sun continuously. Research from the National Academies report “Defending Planet Earth” and the NASA Advisory Council report on Planetary Defense shows that the optimal wavelength to find asteroids is infrared wavelength where asteroids stand apart from their dark background. This data means that the Sentinel Space Telescope would most benefit from being in orbit around the sun close to the orbit of Venus. In this position the telescope will be able to scan the opposite side of the sun from Earth. The difficulty of this placement? This position will place the telescope between 30 and 170 million miles from Earth – an incredible distance when considering that the Hubble Space Telescope is only 350 miles from Earth. How Does NASA Play In to the Sentinel Mission? NASA will allow for the use of their Deep Space Network for communications, navigation and tracking in the Sentinel Mission. NASA will provide support for asteroid orbit calculation and threat assessment. NASA will provide NASA experts to support the Sentinel review team. In addition to these areas of support, NASA will also be appointing their own independent team of scientists to analyze any data retrieved by the Sentinel to conduct their own assessments. When Will the Sentinel Launch? Perhaps one of the most commonly asked questions about the Sentinel Mission is when the Sentinel will launch and begin sending data back to Earth. The B612 Foundation researchers estimate that it will take around four years to build and test the Sentinel. The tentative launch schedule for the mission is 2018 when the telescope will be launched aboard a Falcon 9 rocket. The Sentinel team believes that the telescope will begin to send data almost immediately. While the Sentinel has not yet been built, spacecraft and mission designs have been completed. A fixed price proposal for the Sentinel IR Space Telescope has been made by Ball Aerospace. NASA has confirmed their support for the Sentinel Mission and the Sentinel’s mission strategy has been endorsed by the National Research Council and the NASA Advisory Council. The B612 Foundation believes that within 6 ½ years after its launch, the Sentinel will have discovered and tracked approximately half a million near Earth asteroids. The foundation estimates that of those asteroids detected 90% of asteroids that are greater than 140 meters in diameter will be tracked. These are the near Earth asteroids that would have an approximate impact energy of 100 megatons. Who is Dr. Ed Lu? Hear from Dr. Ed Lu himself in his lecture over Finding the Asteroid Headed for Earth. He is a former NASA astronaut and the current CEO of the Sentinel Mission. So just why is it so important to fund the B612 Foundation when there are so many other concerns on the planet that pose more immediate threats? The potential for asteroid impact is an important threat to be aware of because while it may pose no immediate threat, in the long-term it could wipe out the entire human race. By the time these asteroids do hit the Earth the likelihood that many of us will still be alive is slim; however, at some point it is very likely that an asteroid comparable to the one which wiped out the dinosaurs will strike. When this giant asteroid does begin to head our way it is important for future generations that we be able to do something about it before it is too late… that is if we hope to save civilization. The B612 Foundation is not only important in preventing astronomical disaster however, the data observed by the Sentinel Mission will prove helpful in mapping out our inner solar system. Such knowledge of the solar system will allow us to begin expanding our knowledge and our scientific research in to the universe around us. Do you think the human race is destined to be wiped out or do you think we will be able to save our planet? Great article Kimberly! I searched your site for Kepler-452b hoping you would have a report on this “earth-like” planet that has been nicknamed “Earth 2.0.” In your opinion, is it possible that this planet can host living beings similar to us? If not, do you know of any other earth-like planets that have been discovered in our universe?